There’s not actually a serious debate in this country as to whether deep dish pizza counts as pizza. It’s been called pizza since its invention in 1943; it’s universally referred to as pizza and it shares a flavor profile with every other style of tomato sauce-topped pizza. That said, the dissent seems to be increasing. It could just be that New Yorkers are getting even more vocal; it could be part of the move away from traditional red-sauced Italian-American food to more “authentic” Italian options; it could be that more willfully ignorant food writers are craving attention; or it could just be that Jon Stewart really does have that much sway over public discourse. 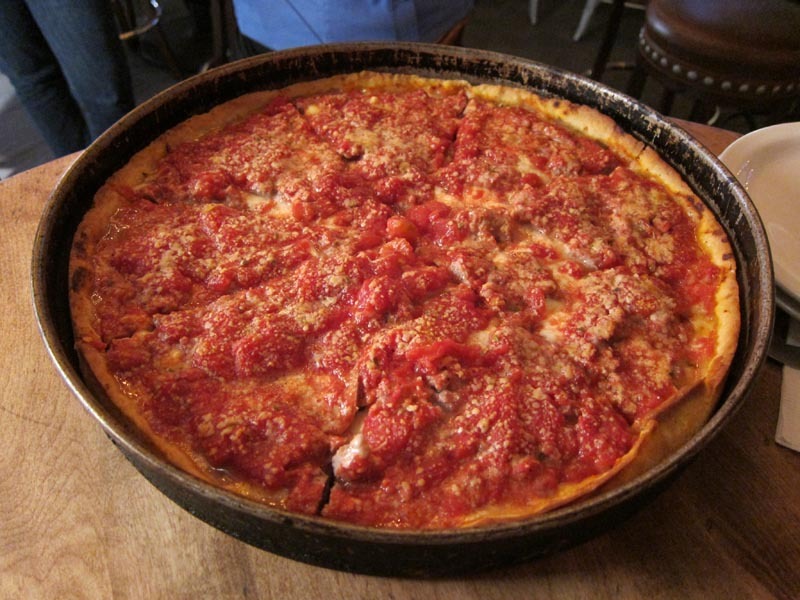 Whatever the reason, now seems like a good time to make clear that the argument that deep dish pizza is not pizza flies in the face of pizza history, linguistics, and common sense. That’s the nicest way I can say that the argument that deep dish pizza is a casserole is complete and utter bullsh*t.